Some nice looking parts there bro. Are we talking about Rogue One heavy weapons here? Just thought I'd post a preview of my latest project in progress: a 3D model of the Shore trooper heavy blaster from Rogue One. This has been modelled by myself from photos I took of the real prop at Celebration Europe earlier this year. It's still not perfectly how I would like it. I can see errors. But l think it's probably 95% there. Comments welcome. Admin feel free to move/edit this thread if you think it's in the wrong place. Very nice. Pack #5 looks great. Sandtroopers, why are we so different? Painting the tube stripes - needed for basic approval? Templates available??? 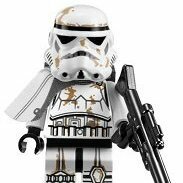 Decals are accepted for basic 501st approval. The MEPD requires "hand painted" for deployment. Although I don't see the difference between using a paint effect decal and painting in a template. TrooperTalk -- iOS Based Voice Emulator for Stormtroopers! Great stuff! Will you build an Android version too? Thanks for the review and for all the positive comments. I'll endeavour to get the paint mods done this weekend and hopefully have everything buttoned up for next week. 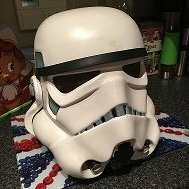 Name: Joel Carter 501st ID: TD-9714 MEPD forum name: Berkal Garrison: Swiss Here we go… -One helmet off photo. -One full armor, helmet on, front photo. -One full armor, helmet on, right side photo. -One full armor, helmet on, left side photo. -One full armor, helmet on, back photos. -Canvas or elastic shoulder straps detail photo. -Canvas belt detail photo. -Abs details close up photo. Showing the 3 buttons an TD abdominal plate. -Kidney rivets. -Side stud. -Crotch studs. -Internal strapping. Field Pack: Boots: Pauldron: Neckseal: Flexible hand plates: Bucket: -A close up photo clearly showing the flat green lenses. -Detail photo showing no stripes on all grey traps and tears. -Detail photo of frown, showing 4 teeth cut out and grey paint. -Detail photo of mic tips mounted on helmet. -Detail photos of blue tube stripes. Weapons: E11 T21 Finally, -Full body action pose. Actually, it would be great if it were *that* easy. Especially since 75% of the SWAT impressions are "Road block captain" it can be like looking for a needle in a haystack. Thanks for using my build as a reference. It's a real compliment. Drop me a line, Ryan. I think I might be able to help you out if your tired of chopping your own hands off. Please see the sales thread linked in my signature. What I'd like to see would be a clear mention of which trooper is being emulated in the approval thread titles. That way its easy to quickly search for others who have attempted and completed a particular impression.